A beaded flower made by seed beads and crystals. 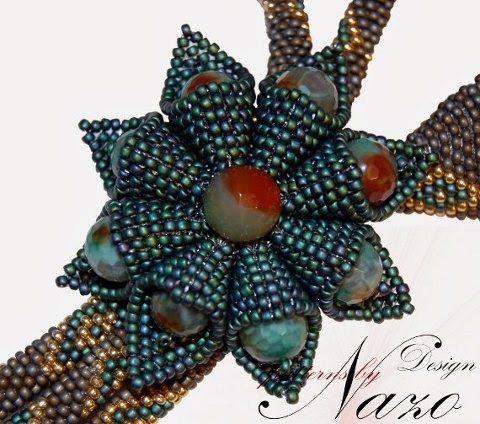 This flower is a unique design of Nazo Design®. * I offer the pattern, not the creation itself.